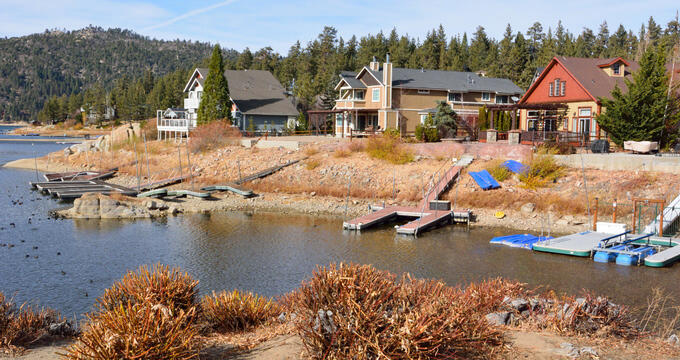 Located within easy striking distance of Los Angeles and San Diego, Big Bear Lake is a popular Californian vacation destination offering an abundance of outdoor activities in all seasons. Summer visitors have numerous scenic hiking and mountain biking trails to explore, and there are unlimited opportunities for water sports including boating, wind surfing, canoeing, kayaking and more. 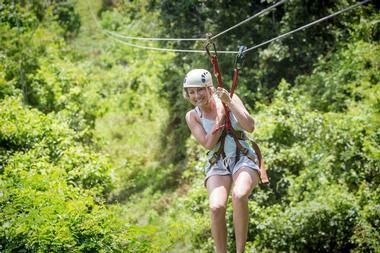 You can also enjoy a thrilling zip line adventure or try your hand at off-road driving. Winter visitors come to enjoy great skiing and other snow sports at several family-friendly facilities. There are a couple of wildlife preserves which you can visit year-round and there are many restaurants where you can enjoy great food, wine and craft beers. For a beautiful view of Big Bear Lake you can hike the Castle Rock Trail which takes you along a short but steep trail to a rocky crag overlooking the lake. Although the trail is only about 1.3 miles long it is quite challenging due to the rocky terrain and relatively rapid increase in elevation. 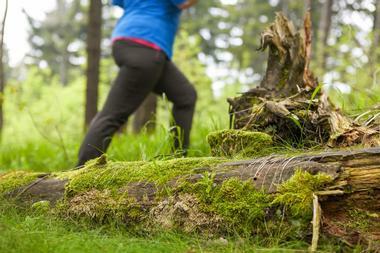 You can try the trail by mountain bike or on horseback, but hiking is generally considered to be the best way to explore this single-track trail. You have the choice of starting from either the north trailhead off Hwy 18 or the south trailhead which is accessed off Forest Service Rd 2N10. Established in 1959 to rehabilitate animals which were injured during a devastation forest fire, the Big Bear Alpine Zoo at Moonridge is dedicated to rescuing, rehabilitating and re-introducing injured and vulnerable wildlife back into their natural environments. 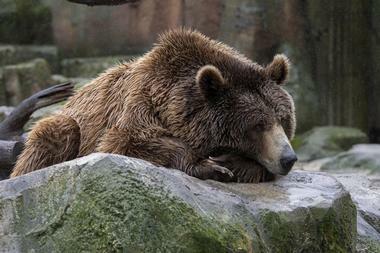 In some instances certain animals cannot be returned to the wild and will find a permanent safe-house in the Zoo. Currently you can expect to see a wide variety of birds and animals (over 85 species) including an arctic fox, black bears, bob cats, coyotes, wolves, owls and many more. The best way to learn all about the fascinating animals is to join a docent-led tour of the zoo. Located about two miles from Big Bear Dam, Boulder Bay Park is an outdoor recreational facility offering year-round activities. Many people simply come to have a picnic surrounded by natural beauty, while others come to enjoy hiking around the lake, canoeing and kayaking in summer and a good variety of snow-sports in winter. In spring and autumn you can take some wonderful photos of the park decked out in seasonal colors. If you would like to spend a few days in the area you can choose from a large variety of vacation rental homes, cabins and apartments located within easy access of all the action. 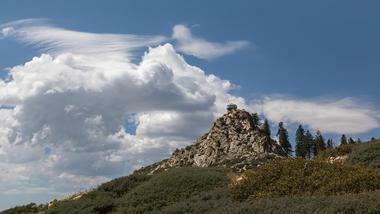 Big Bear Lake’s beautiful Alpine Pedal Path is a must-do activity when you are visiting Big Bear Lake. The paved path is suitable for walkers and cyclists of all fitness levels and you will often find entire families enjoying a stroll or cycle. The Pedal Path stretches for 3.2 miles from the Serrano Campground to the Stanfield Cutoff and there are benches along the way where you can stop to rest, do some bird watching (look out for bald eagles) and admire the beautiful vistas. At Juniper point there are BBQ’s and picnic tables – you can easily bring along a picnic and make a day of it. The path is also suitable for skaters and wheelchairs. Located in the San Bernardino National Forest, overlooking Big Bear Lake, the Cougar Crest Trail is a moderately challenging 2.4-mile (5.2 miles out and back) hiking or mountain-biking trail which leads up to the junction of the famous Pacific Crest Trail (no bikes allowed on the PCT). The trail passes through a variety of beautiful natural environments including lots of wild flowers and can be accessed via a paved path from the Big Bear Discovery Center or from the Cougar Crest Trailhead on North Shore Drive about half a mile west of the Discovery Center. This trail is best used from March to November. The San Bernardino National Forest has seven historic high-altitude fire lookout posts which you can visit for amazing views of the surrounding forests and Big Bear Lake. Butler Peak Fire Lookout is located at an elevation of 8,535ft which makes this one pretty difficult to access as there is often still deep snow as late as July. You will need a high-clearance vehicle to navigate the dirt road that leads you to the Peak. Your perseverance will be rewarded by magnificent views and a deep respect for those who used to man these extremely remote and critically important fire lookouts. Pine Knot Trail is a popular and well-maintained Big Bear trail which is considered easy to moderate and would suit most hikers. You can enjoy the 6.2mile out-and-back trail on foot or by mountain bike or horseback, enjoying excellent views of Big Bear Lake. This is a very scenic forest trail which leads you from the Aspen Glen Picnic area to the Grandview Point where your efforts will be rewarded by great views out over the Santa Ana River Valley and San Gorgonio. After admiring the beautiful views you head back along the same route, part of which meanders alongside the creek. You can park at Aspen Glen Picnic Area. 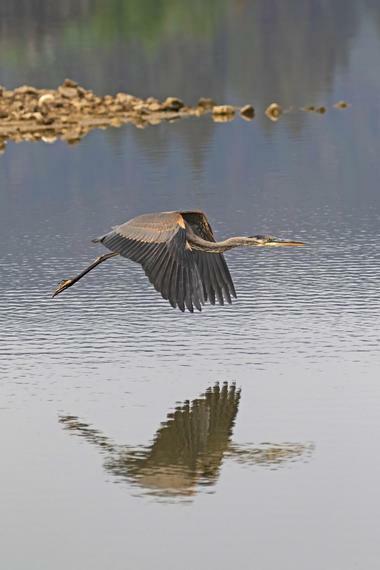 Nature lovers and birding enthusiasts will enjoy taking the time to visit the Stanfield Marsh Wildlife and Waterfowl Preserve, located on the corner of Stanfield Cutoff and Big Bear Boulevard. You can park near the wooden gazebo and take a little time to have a look at the informative wildlife posters. There are wooden boardwalks built out over the water and the marshes from which you have splendid views of all the wildlife which frequent the Preserve. The best time to visit is early evening (around sunset) during the wet season, when there are many different species to be seen and photographed. Action Zip Line Tours offers all thrill-seekers the chance to get your adrenalin pumping as take on the challenge of flying along no less than nine high-speed zip lines. You need to have a good head for heights on this one – you will be racing through the tree tops at elevations of up to 85ft and speeds which can reach 45mph. In total there are nine separate zip lines which range from 140 to 860 feet long. The first few are quite tame, but they get progressively faster and longer as you go along. Did we mention the suspension bridge? It’s just another little thrill to add to your ride. Located at an elevation of 7,600 feet and surrounded by towering pines, flower meadows and quartz outcrops, the Bluff Lake Reserve protects and showcases a variety of rare and endangered plants, amphibians and insects as well as the birds which are attracted to them. This ecological reserve offers visitors the chance to observe nature in a serene environment far removed from the busy tourist areas of Big Bear Lake. You are welcome to bring along a picnic to enjoy and your four-legged friends are also welcome provided they are leashed and you pick up after them. There are designated hiking trails around the lake and many opportunities for photography and bird watching. Formerly known as Rebel Ridge, Big Bear Snow Play is a winter-wonderland for snow tubing enthusiasts. Here you will find some of the most thrilling tubing runs in the state and the Magic Carpet uphill lift, which eliminates the need to drag your tube up to the top of the run, ensures that you and the family spend more time enjoying thrilling downhill rides. When the weather is not quite cold enough for a good snow cover the mighty Lenko Fan snow machines are switched on to provide all the snow your need for a great day of snow fun. Big Bear Snow Play is now also open at night on Fridays and Saturdays for thrilling after-dark tubing. Off-road enthusiasts can enjoy a thrilling and education off-road adventure with Big Bear Jeep Experience. If you have always wanted to learn how to handle a genuine high-clearance off-road vehicle, this is the tour for you. You will get to rent one of their Jeeps which you will drive, under the expert guidance of an experience off-roader who accompany you in a second vehicle. Your guide will not only instruct your driving technique via two-way radio, but will also teach you about native plants and wildlife and bring the history of Big Bear Lake to life. Some of the Jeep Experiences are suitable for families including younger children (in infant’s car seats). When you are vacationing at Big Bear Lake you need a great breakfast to set you up for an exciting and active day. 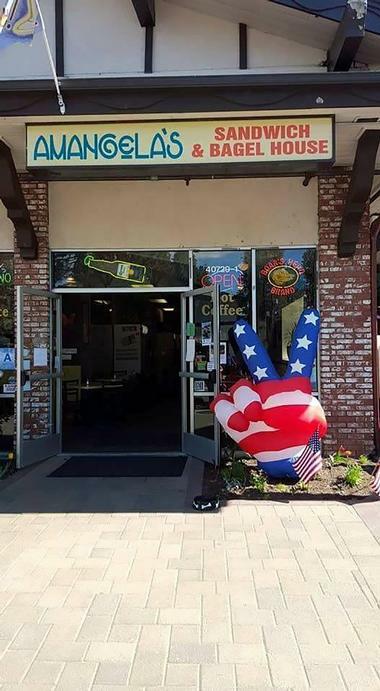 If you head to Amangela’s Sandwich and Bagel House you can order from a wide range of delicious bagels served with your choice of fillings or toppings, or grab a bag of bagels to take out for a picnic. If you find yourself in the area around lunch time you can stop in for (another) bagel or enjoy a specialty sandwich, salad or wrap. There is a special children’s menu and vegetarian and gluten-free options are available. You can round off your meal with a cup of good coffee or a healthy smoothie. Since 2003 the Peppercorn Grill has been pleasing Big Bear palates with consistently good food. 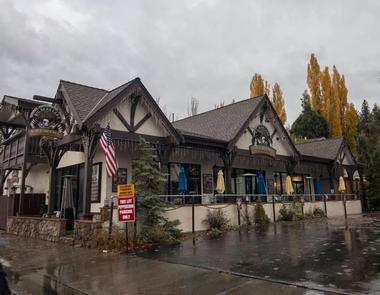 The restaurant is owned by Mike and Julie Hastings, both of whom have lived in Big Bear for decades and know exactly what to serve up to keep their loyal customers returning time after time. 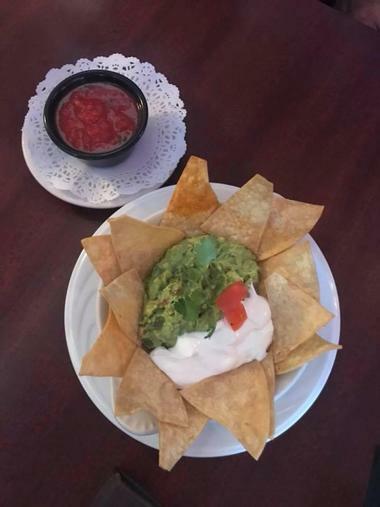 The restaurant has friendly staff, a very welcoming and elegant ambiance and you can expect to find all your favorite dishes on their extensive menu. The dining room offers a choice of cozy booths and tables and the heated patio is a popular place to enjoy a cocktail while watching the passing parade. In addition to serving great food the Peppercorn Grill has a good cocktail, wine and beer menu. The Big Bear Brewing Company is a must-visit destination for craft beer enthusiasts. The company has an on-site brewery and tap room where you can taste a selection of hand-crafted beers and the kitchen serves up some great food to enjoy alongside your brew. You can enjoy a flight of miniature sized beers to find your favorite and if you are not a beer lover you can choose from a selection of wines, cocktails and spirits. The brewpub serves breakfast from 8am to 10.30am and an interesting selection of appetizers, salads and entrees throughout the rest of the day. You are welcome to bring your dog with you if you sit outside on the patio. 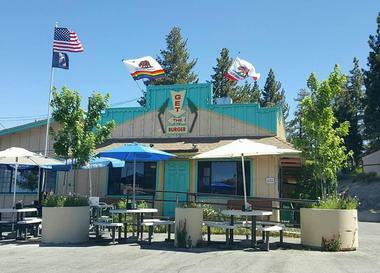 When only a delicious pure beef burger and a great American milkshake will satisfy your hunger pangs you need to head to Get the Burger, a delightfully nostalgic 50’s style burger joint on Big Bear Boulevard. The restaurant serves a great selection of delicious pure beef burgers served with all your favorite toppings and sides and the owner’s secret sauces. You can wash down your burger with a classic old fashioned soda, a hand-scooped ice-cream milkshake or a beer or glass of wine. There are a few meatless burger options and a couple of hot dogs on the menu. Admire the retro 50’s décor as you enjoy your feast. 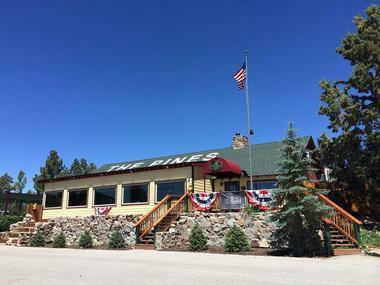 Situated right on the shores of Big Bear Lake, the Pines Lakefront restaurant is the ideal place to enjoy a meal while admiring stunning views of beautiful Big Bear Lake. The restaurant is open for breakfast, lunch and dinner and offers a slightly different take on regular American favorites. Families are welcome and there is a children’s menu for younger visitors. You can expect a variety of fish and seafood, venison, beef, pork and lamb dishes as well as lighter salads and sandwiches at lunchtime. The Pines has an extensive wine list featuring a good variety of Californian wines supplemented by a few Italian and Australian stalwarts.